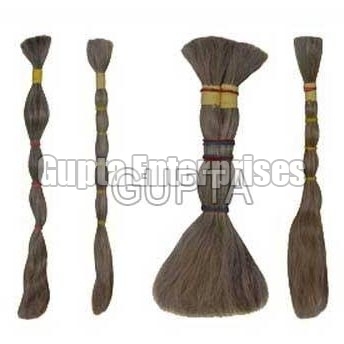 Gupta Enterprises is one of the leading Manufacturers, Exporters and Suppliers of Double Drawn Grey Hair. The Double Drawn Grey Hair we offer is processed at our hygienically maintained unit. Along with being attractive in look, the Double Drawn Grey Hair is smooth in texture, silky and shiny. Clients can avail clean, tangle free and easy to comb Double Drawn Grey Hair from us at nominal prices.